I’ve written many times on this blog about my love of experiencing the first light of the day. While the brilliant colors of sunset are just as visually pleasing, the sunrise provides a much stronger fuel for my soul. With the less than ideal amount of sleep I get during the semester, coupled with the lengthening days of spring feeding into summer, it had been a long time since I felt the warm glow of the first rays touch my face. 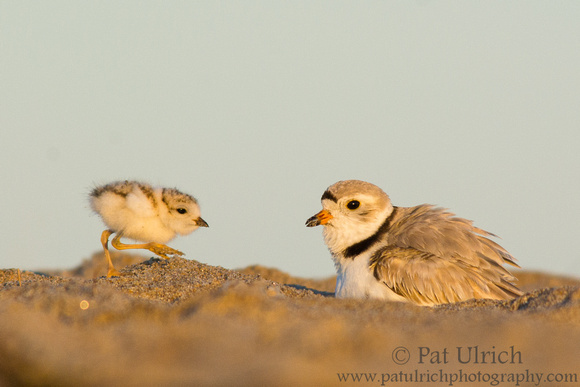 Even though Plum Island is over an hour away and we were near the earliest mornings of the year due to the solstice, the gravitational pull of the chance to photograph tiny piping plover chicks in warm morning light was strong enough to get me out for the sunrise twice last month and again earlier this week. There’s magic at the leading edge of the day, and it feels great to be reacquainted again!